A young friend of mine has decided that she wants to shoot in 4H. 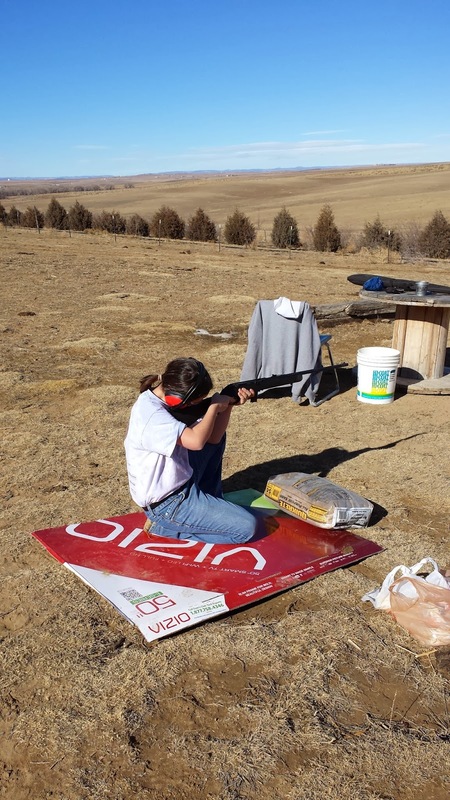 I know nothing about 4H Shooting Sports, but am willing to help out where I can. I'm primarily a defensive shooter. That is, all of my shooting, for the most part, is centered around using my guns in self-defense. 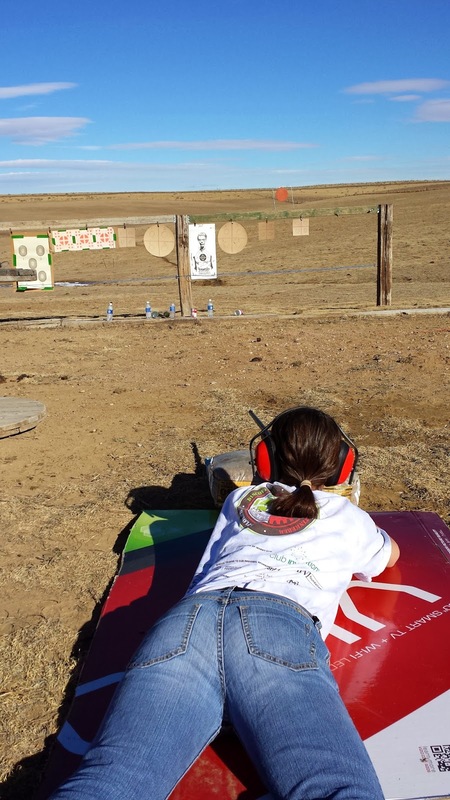 Yes, I compete, but that's just so I can practice shooting while moving, from cover/concealment, and in unorthodox positions while under pressure. I'm not an IPSC, IDPA, or USPSA shooter. I'm comfortable using my rifle and shotgun in a tactical manner, but am barely competent with rifle target shooting or shooting clays (Z and Mez, stop your laughing, I said barely competent). So, I'm a little nervous about helping my young friend, G. She got a .22 Savage for her birthday and was a little intimidated by it. It is a bit big for her, but I think we can work around it. If her parents get one that fits her perfectly this year, she'll outgrow it by next year. My plan for our first meeting was to get her over being intimidated by her rifle. I gathered some tin cans and water bottles and started her prone. 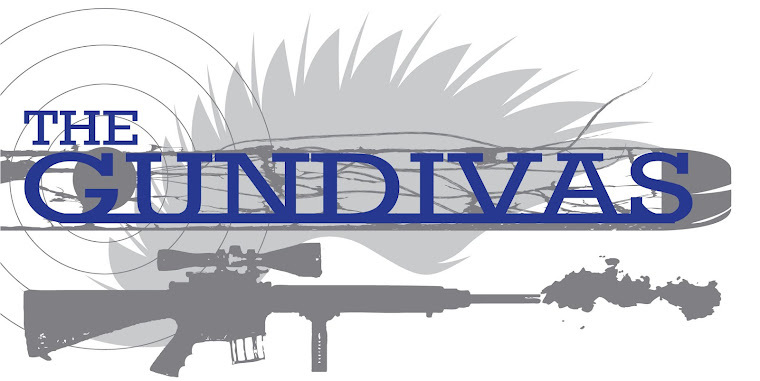 The goal for today was to just get her over her intimidation of her rifle and get her comfortable maneuvering it. It didn't take much time for her to get the hang of it. In fact, she hit everything she aimed at from the very beginning. We talked about breathing and how to make minute adjustments using a squeeze bag under the buttstock. After she shot a couple of magazines, we moved her back a few yards. Lather, rinse, repeat. I had planned on only working on prone with her, but after an hour or so, she asked to move to a different position, so we went to kneeling. This position was a bit more difficult for her, but she managed about ten shots. I had only intended for her to shoot about an hour, but she was still interested and having fun, so we went for an hour and a half. I think our continued goal will be to increase her comfort with her rifle. She was leaps and bounds more comfortable and confident by the end of the day. She's learning so quickly that I'm going to run out of ways to help her. My plan going forward is to continue to work on the basics while just plinking before we start worrying about target accuracy. I want her to have the confidence that she's going to hit what she's aiming at before we add the pressure of paper targets. She's doing so well with prone and kneeling, that we should be shooting off-hand in just a couple of weeks. I would certainly welcome any tips for helping her with off-hand. I know the precision shooting stance is completely different from what I'm used to shooting, so I'll be studying and practicing before I start trying to teach it to her. 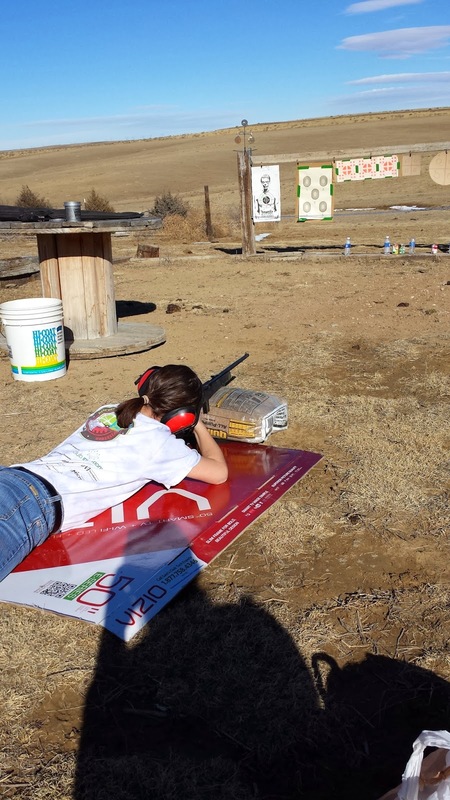 Do any of you have any experience with 4H Shooting Sports? Do you have any tips for me? I would welcome any advice you have. Sounds super fun - and what a great way to broaden your own skills by having to learn new things in a sport you love. In February I'm going to get the training to become a 4-H Rifle instructor. When I was contacted about it-they were looking for more shooting sports instructors especially women-I jumped at the chance! I'm looking forward to the training and working with the kids! togatrackgirl - that's awesome. I could certainly use any tips you might have. 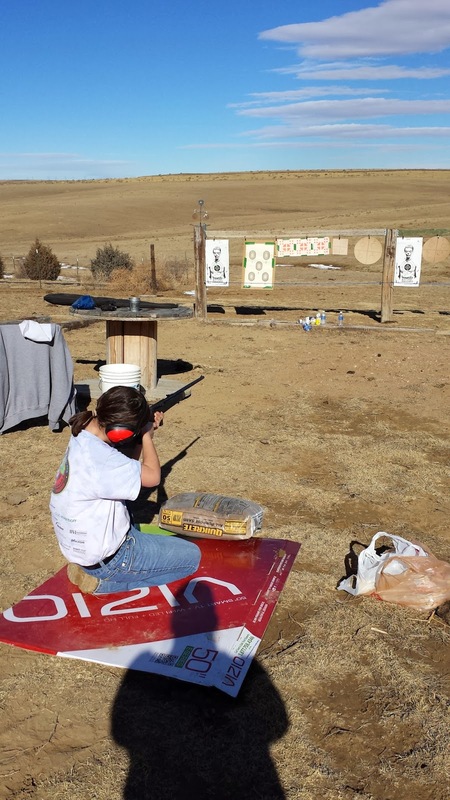 I'm just helping my friend's daughter get the hang of using a rifle, but I'm not a 4H instructor.